← William And Kate’s Royal Wedding: Enough Already! It’s no use beating a dead horse. Osama Bin Laden is dead as a doornail and showing all the gory details (the pictures) will not make him more dead. I happen to agree with President Obama’s stance on not showing the American people Bin Laden’s blown-up skull. What for? So the pictures can be used for a made-for-TV-movie? Or blown up as wallpaper for some sick-o’s computer? 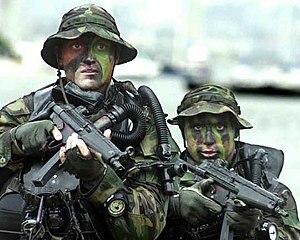 The Navy Seals did a magnificent job. They put their lives on the line for us and got rid of the #1 terrorist in the world. His body was disposed of in a civilized manner which is far more than he did when he killed thousands of Americans at the World Trade Center and disposed of their lives. I originally thought that his blown-off face should be plastered all over the world to show other terrorists just what could become of them if they continued down his path. But then I realized that I was not brought up in a classless society that did not respect death or giving someone a proper burial even though I don’t feel Bin Laden really deserved one. This does not mean I am respecting the person. To me he is Satan himself.